Most of the styles that I’ve created are either paragraph or character ones, but occasionally I’ve created ones that are called linked, i.e., both paragraph and character attributes are part of the style. Recently I heard that this linked style is not advisable and I wondered, do you agree and if so, what kinds of problems might result? Hi, Ariela. Thanks for your question. I don’t like linked styles because they’re neither fish nor fowl. I think Microsoft created them for users who (in past Word versions) selected text, tried to apply a paragraph style, and then couldn’t understand why the formatting they wanted was applied to the whole paragraph rather than just their selection. You’ve probably noticed this not-so-helpful “feature” in various documents, and it’s notoriously difficult to clean up. My next version of Editor’s ToolKit Plus (coming *soon*) will do it for you quickly and easily, along with unlinking any styles that are linked. 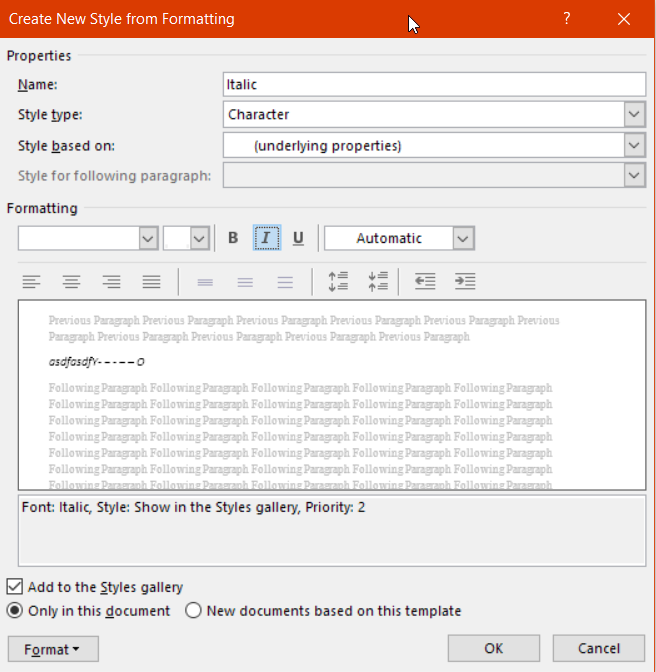 Microsoft has cleaned up the Char Char Char problem in more recent versions of Word. However, even in Word 2016, if you *unlink* a linked style, you’ll get a paragraph style *and* a character style with a Char on the end. That doesn’t really hurt anything; I just find it annoying. I get really tired of Word trying to be “helpful” and doing things over which I have no control. But here’s the real problem: If you apply a linked style (say Heading 1) to just *part* of a paragraph in Word, and if the Word document is imported into InDesign, you will get (that’s right) a *character* style named Heading 1 Char in InDesign. So now your designer or typesetter is wondering what the heck to do with that. It’s not clean. It’s not clear. It’s not professional. Thanks again! I hope this sheds some light on a rather arcane and troublesome topic. Thank you, indeed, Jack. I am glad that you went into such detail. 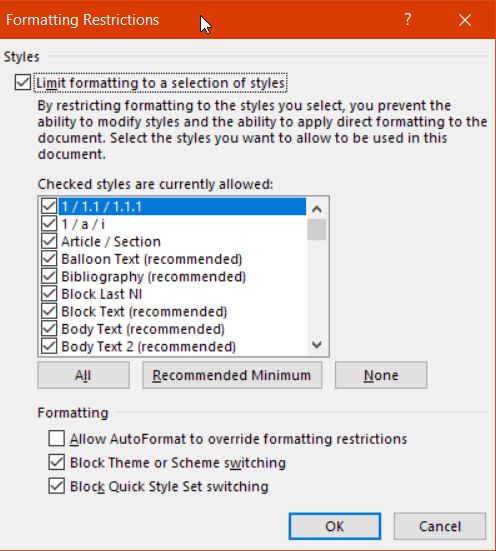 I’ve been using Word 2007 since around the time it came out and I learned about styles some years after that. To tell you the truth, I don’t think I did ever notice the odd naming quirk that you mentioned, or if I did, I didn’t realize what was causing it and probably just deleted them. Until reading your post, I have always intuitively assumed that the only way to create character effects, such as bold, italics, etc., combined with paragraph features, such as indentation, spacing, etc., was to select a linked style. I was rather surprised when I checked again and just saw that my heading styles, with certain character-level effects, are all of the unlinked, paragraph variety. Now that I’m better informed, I understand why that was a good thing (that happened purely by accident). Can this be applied to an existing MS from an author? 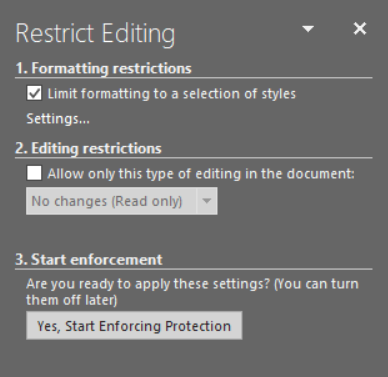 Would it work, e.g., by creating a new blank document with Restrict Editing, and then copying and pasting all of the author’s original article into the blank Restrict Editing document? That way one could then copy edit their article as submitted, and return it for approval to the author with the Restrict Editing conditions enforced? Hi, Timothy. Yes, you could do exactly what you described. You could also restrict editing on the author’s original document rather than creating a new one. Thanks a lot, Jack. That is exactly what I needed… but there’s no way (just with only one style/shortcut) to turn on AND off italics, for example? Maybe we a need another one “clearing format” style or so (not the “delete all” style!) 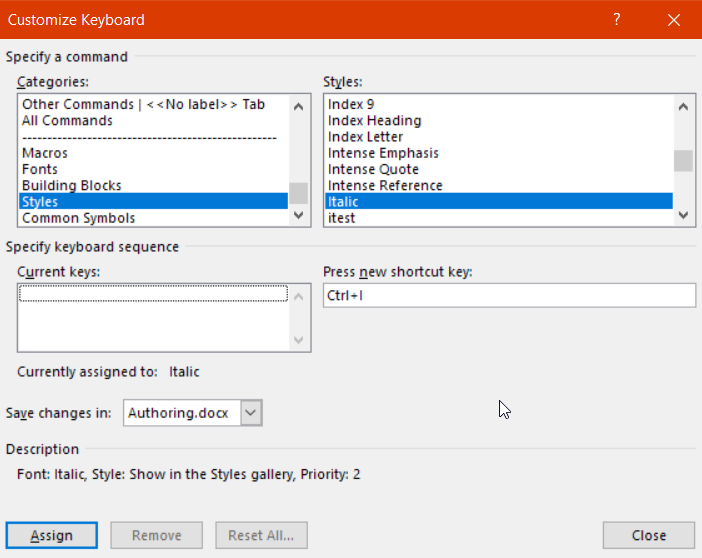 better than one to turn on italics / bold / etc., and one for turn off each one. By the way, when I apply in a word my new “Just italic” Char style, and later “Just bold”… do exactly what I have asked for: turns that word on bold, but loss his italic. I guess I need an extra “Just bold&italic” style, isn’t? Antonio, you’re right–there’s no way (without a macro) to turn italics on AND off with a keyboard shortcut toggle. 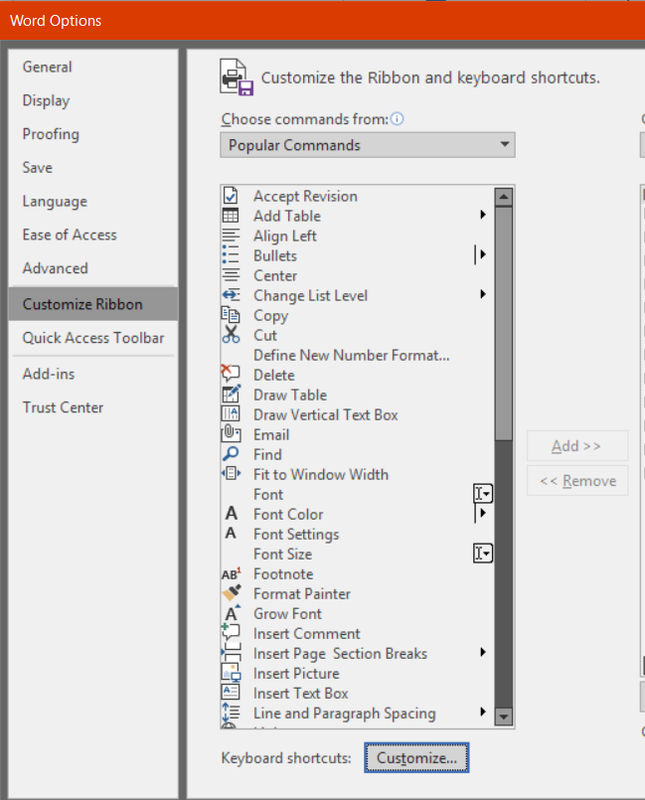 You can clear any existing formatting by selecting the text and pressing CTLR + SPACEBAR. But see my comment below. Thanks again, Jack. I really hope see soon the new features in the new edition of Editor’s ToolKit Plus.